Already in my pre-teens I had developed an interest in British cars and the first thing I ever wrote for myself (i.e. 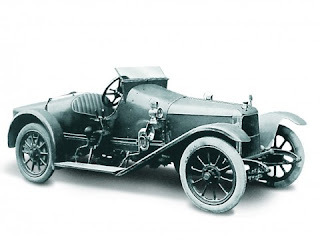 not school-related or postcards to grandparents) was about Jaguar, one of Britain's most distinguished car makers. I wrote it on this typewriter which is still with me, although these days as a fashion statement rather than as a tool for writing. While Jaguar is a fine car, a favourite is a green XK 120 from 1948, I still always favoured Aston Martin, and as it is the car that plays such a prominent part in the Bond films I have an excuse to write about it here. They became a pair in 1964 when Goldfinger came out and Q assigned an Aston Martin DB5 to Bond, with assorted extras such as bullet proof windows, machine guns and, famously, an ejector seat. ("Ejector seat? You're joking!" "I never joke about my work 007.") He got one in Fleming's novel Goldfinger too, but a DB Mark III as the novel came out in 1959 and Aston Martin began making the DB5 in 1963. DB is part of a tradition of Aston Martins, and stands for David Brown who was Aston Martin's owner from 1947 to 1972. When he was forced to sell the company, Aston Martin stopped using those letters until the DB7 appeared in 1994, when the company had new owners again. Ford was the new owner and they had also bought Jaguar, and in a way DB7 was a modified and Aston Martin-fied Jaguar. A brief but necessary glitch. Given this it is absurd to consider that in three of Pierce Brosnan's Bond films he drove a BMW. Of course, Bond has driven all kinds of cars before, of many different marques, but the BMW's were not just ones he had to use because they were the only ones available; they were the official Bond cars. That was wrong on multiple levels. It was not a British car but a German one, and it was not a unique, somewhat otherworldly car but a car most people have seen, and many have owned themselves, if not new then as second hand. BMW might not be like a Toyota Corolla, but it is still a mainstream brand. A good year for Aston Martin is at best a couple of thousand cars sold. A good year for BMW is several million cars sold. And, even worse, one of those BMW's was a four-door sedan (750iL), not a sports car. An example of corporate sponsorship that goes against the concept of both film and character. Fortunately, for Brosnan's fourth Bond film Die Another Day (2002) Aston Martin was back, the V12 Vanquish. (It is still not a particularly good film though.) And Daniel Craig's Bond has always driven an Aston Martin, in all four films so far. In Craig's first, Casino Royale (2006), a new Aston Martin (DBS V12) appeared as well as the old DB5. The new car meets a rather brutal end after being driven off the road and flipping over several times. I had long assumed that it was CGI at work but no, it was an actual car and driven by the stuntman Adam Kirley. What you see in the film (or clip below) is real. Aston Martin was meant to destroy the car afterwards, as is standard procedure, but they had developed an attachment to it so it is still with us. I have seen it in London and it looks surprisingly well, all things considered. It is a very impressive car. The passionate interest I once had for cars, not just British ones but cars in general, is long gone and I do not spend my free time reading car magazines in three different languages as I did in the days of yore. But Aston Martin has maintained its hold on me. 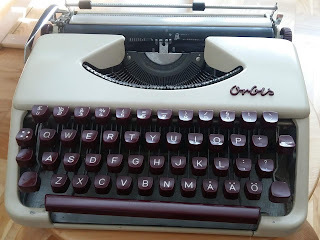 We have a long history together, and I therefore felt that it would be fun to write something about it here. 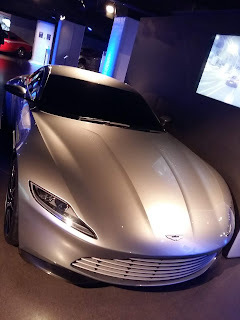 I also think that one reason I am still interested in Aston Martin is that it means I keep something of my childhood intact, there is a connection there to my own past which is gratifying. The more so the older I get. Maybe when I retire I should even buy one. Often people seem to think that it was with Star Wars that merchandise based on a film first appeared but this was well-established much earlier than 1977. 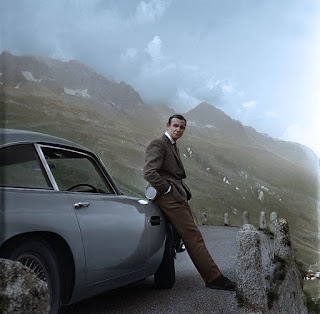 The Bond series is an example, and one of the key items for sale have been models of the various Aston Martin cars Bond has used, beginning in 1964 with a toy model of the DB5. 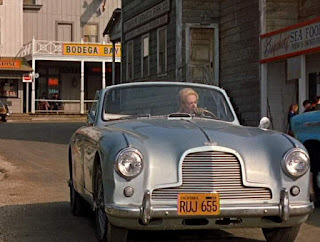 Another famous film with a noticeable Aston Martin is Hitchcock's The Birds (1963), where the car owned by Melanie Daniels (Tippi Hedren's character) is a DB2/4 Mk I Drophead coupé. It is featured throughout the film, and was especially required from Aston Martin. While Roger Moore never drove an Aston Martin as Bond, he drove a DBS in the series The Persuaders! (1971-1972), as it was the car of his character Brett Sinclair. 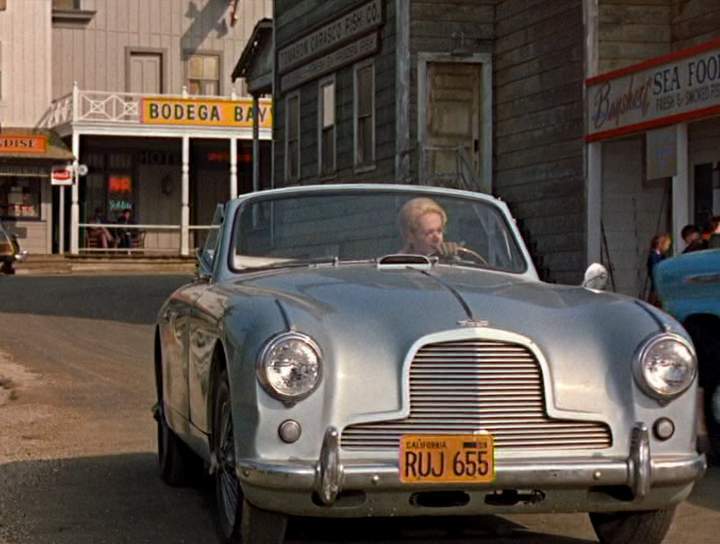 The most famous car associated with Moore is otherwise, with the possible exception of the Lotus in The Spy Who Loved Me (1977), the Volvo P1800 which his character Simon Templar drove in The Saint (1962-1969). A time when Volvo was considered cool and stylish and before it came to be used by only two kinds of characters in films: the wannabe bohemians or the boring fuddy-duddies. 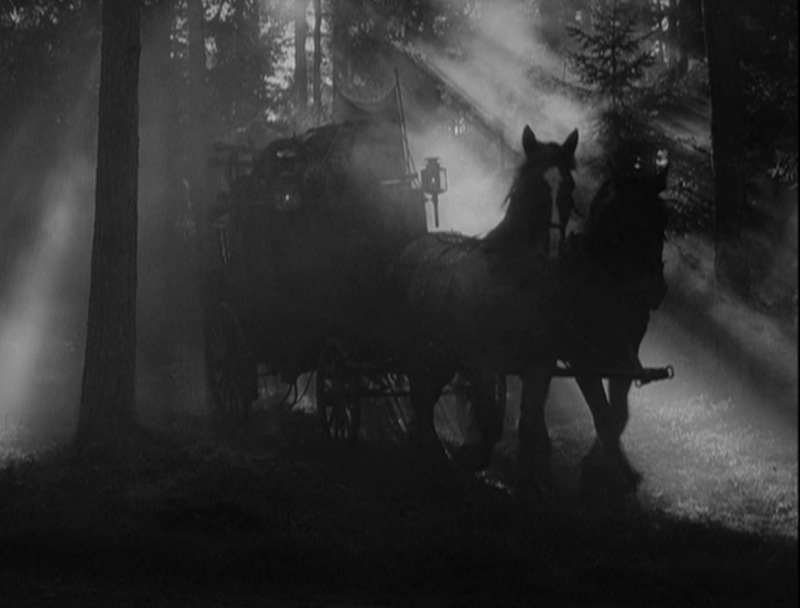 Today is not only Bastille Day but also the centenary of the birth of Ingmar Bergman, so he will (again) be the theme of this post. I was at a Bergman conference last month in Lund in the south of Sweden, the town towards which they travel in Wild Strawberries (1957), so he has had an unusually active presence of late. During and after the conference I read a lot of books about Bergman, some old ones I had read before and some new ones. Robin Wood's book really is one of the best, and as it has been updated and re-issued in 2013 (the version I read) it is both old and new. I was not particularly impressed by any of the entirely new books (you are better of just watching the films) but if I were to recommend one of those available in English it would be Alexis Luko's Sonatas, Screams and Silence (2016). 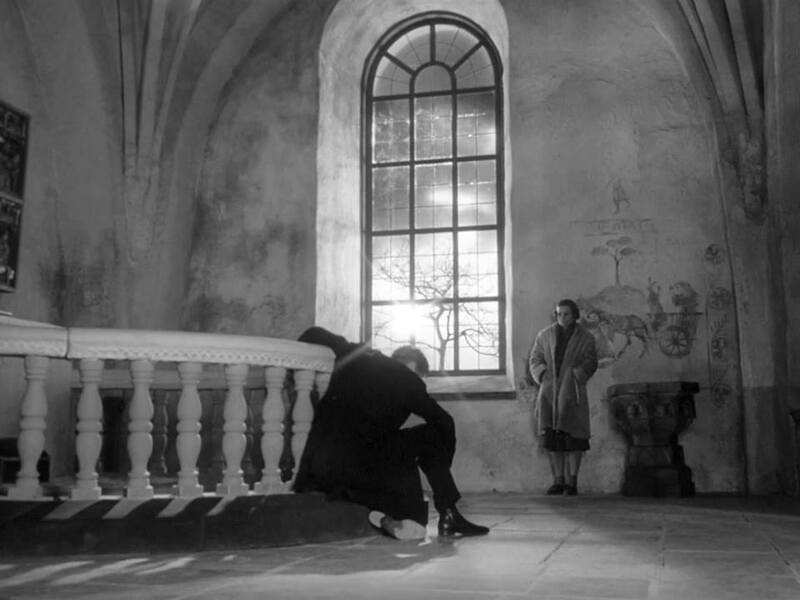 One reason why so many write about Bergman, as well as Hitchcock, is that they have not just made the films but also willingly talked about them and about themselves, and have had a strong public persona, carefully crafted. They are famous among people at large, not just among those interested in film, and fame obviously appeals to film scholars as much as to the next guy. It has become something of an industry, a self-perpetuating Bergman-Hitchcock-complex (and a handful of other directors), so there will be more books about them, and hopefully some might add something new. But that apparent openness of Bergman to talk about himself and his films is also a problem because he is such a performance artist. Everything he does is an act, which is why you should never take anything he says as being true in any conventional way. He invents things, embellishes things or twists them around and adjusts them to his daily mood. Many of the stories he tells about his own life and his childhood are invented and often have little to do with what actually happened, whether it was something good or bad. Yet many critics and scholars use Bergman's own sayings and writings in an uncritical way as if he was telling it like it is (or was). He is not, and they should restrain themselves from relying on it. That is a topic I will have to explore further another day. But here are some topics I have already explored because I too have written about Bergman of course. I do like his work after all, whether books, TV-productions, films or stage adaptations (his version of Yukio Mishima's play Madame de Sade was amazing), and because I have had so much to do with this work, professionally.